The aim behind any business -whatever its size is- is to gain the maximum profit. But, the question is, does you as a business owner know the needs and the expenses of your mid-sized business? 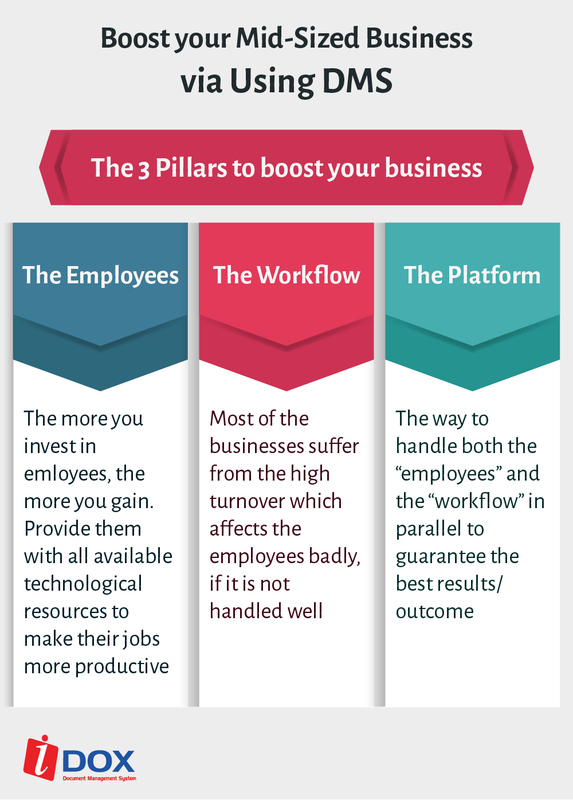 The Platform: Here, it means the way to handle both the “employees” and the “workflow” in parallel to guarantee the best results/ outcome. From the above, one can conclude the need for an innovative solution that help in handling, improving, and controlling your business efficiently. Document Management System is the best solution that allows you to monitor and control your work sufficiently. 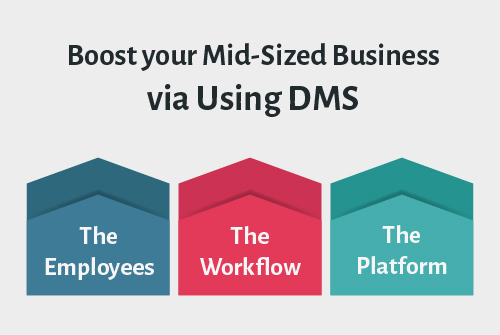 But, you have to choose the suitable DMS as we tackled previously in our blog.